Importance Recent health care reforms aim to increase patient access, reduce costs, and improve health care quality as payers turn to payment reform for greater value. Cardiologists need to understand emerging payment models to succeed in the evolving payment landscape. 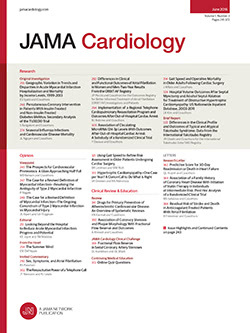 We review existing payment and delivery reforms that affect cardiologists, present 4 emerging examples, and consider their implications for clinical practice. Observations Public and commercial payers have recently implemented payment reforms and new models are evolving. Most cardiology models are modified fee-for-service or address procedural or episodic care, but population models are also emerging. Although there is widespread agreement that payment reform is needed, existing programs have significant limitations and the adoption of new programs has been slow. New payment reforms address some of these problems, but many details remain undefined. Conclusions and Relevance Early payment reforms were voluntary and cardiologists’ participation is variable. However, conventional fee-for-service will become less viable, and enrollment in new payment models will be unavoidable. Early participation in new payment models will allow clinicians to develop expertise in new care pathways during a period of relatively lower risk.